Analysis of the starting position is crucial for the identification of opportunities and the development of solutions to increase efficiency. 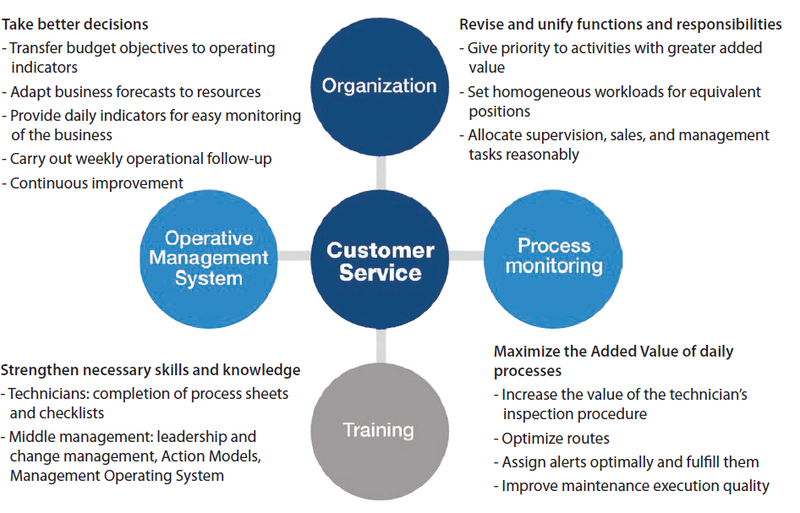 This analysis can be based on four basic pillars: the organization, processes, the management operating system, and training. 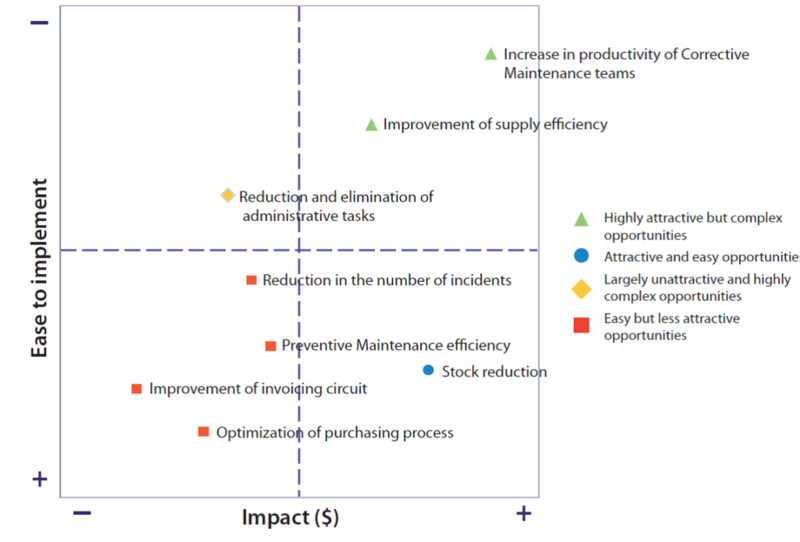 In order to make the methodological approach more realistic and more illustrative, we will look at an example of the opportunities for improvement identified in an after-sales maintenance service network. 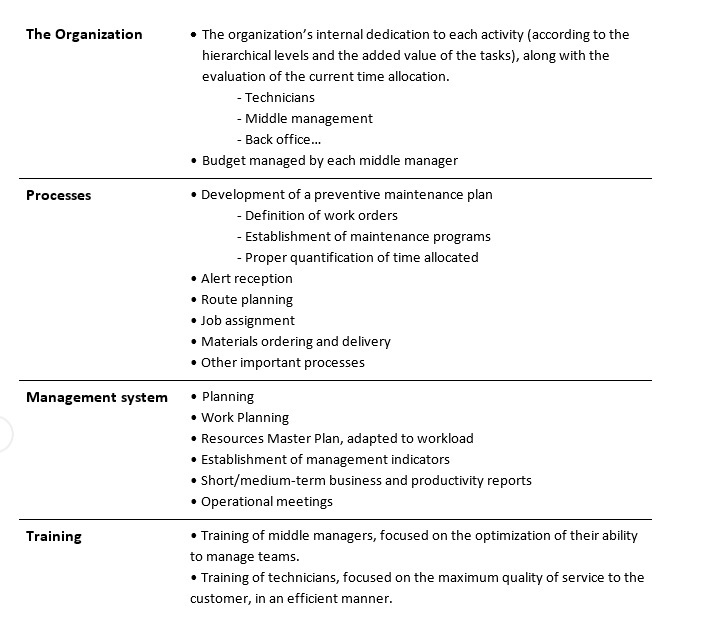 We will then highlight the most basic aspects that should be evaluated in each of the four pillars: the organization, processes, management system and training. 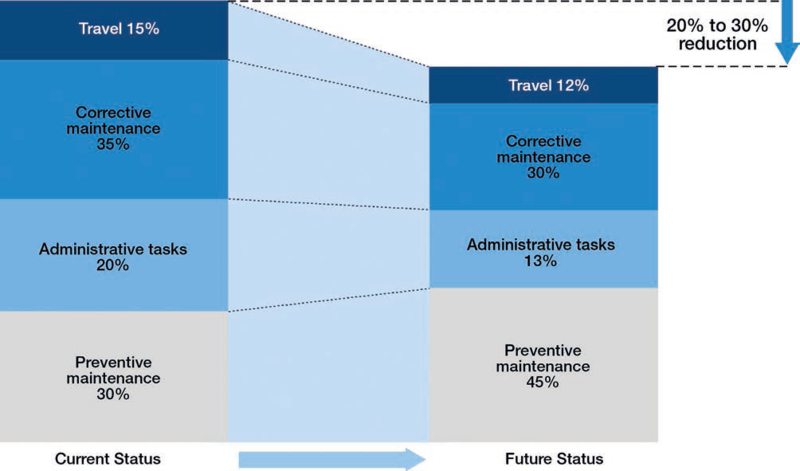 Once the diagnosis has been made, a series of opportunities are identified, quantified and prioritized. The impact vs. complexity analysis facilitates the decision-making process concerning what actions to carry out and when to do so. Through creative solutions personalized for each customer, not only can we improve our percentage of on-schedule job completion times, reduce average operating times and make maintenance visits more efficient, we can also provide a better quality of service to the customer through better response times and more flexible solutions. In the long run, this translates into improved satisfaction scores, increased customer loyalty, and greater ease in identifying repeat sales opportunities. We can see how a correct focus of after-sales service can provide us with two tools that we can use to improve profitability in the short and medium term, through the optimization of costs and an increase in customer satisfaction and loyalty.